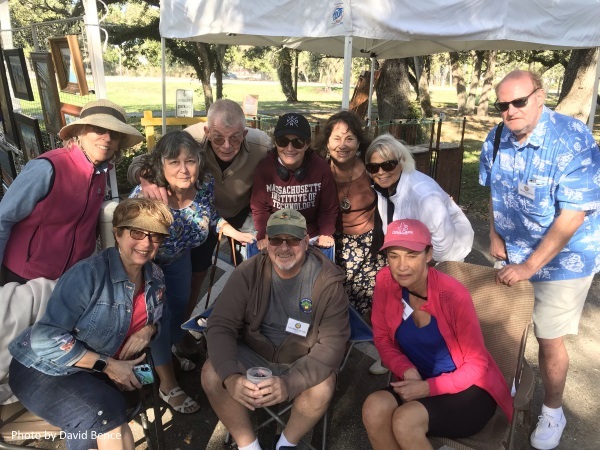 ***If you are interested in volunteering to organize fun activities and outings for Club members, please contact our Volunteer Coordinators: Eric Frederiksen 772-345-6051/ highlivers12@gmail.com or Stephanie Lovallo 664-2297/ danlo434@aol.com. 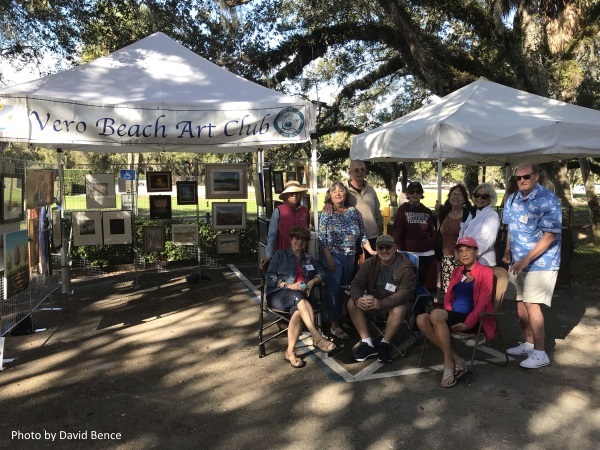 The Environmental Learning Center invited members of the Vero Beach Art Club to create works of art from recycled plastics for display and sale in the Tidal Gallery and picturesque spots on their campus. The theme for the work is lagoon focused (animals, plants and their estuary), materials are at the discretion of the artists as long as they use recycled plastic in the design and composition of the piece. We will display pieces in our Tidal Gallery and include cards that list the title of the piece, the artist and the price (if the item is for sale). We also have areas on campus that could hold sculptures and pieces that can be displayed outdoors. 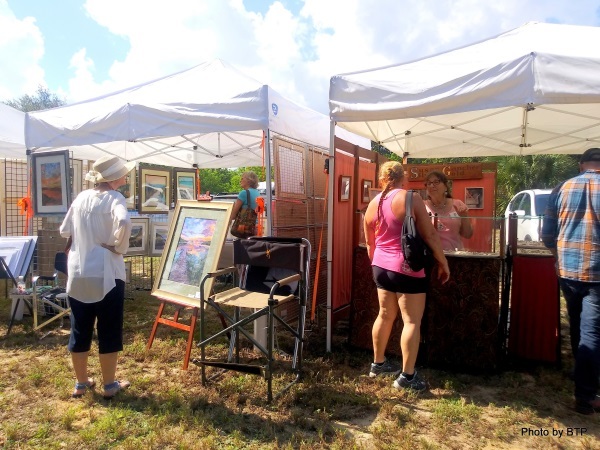 Sculptures as well as wall art are encouraged, however artists will be asked to assist in placement of very large or very heavy pieces. The works of art was on display starting with their Wintergreen Night Lights Celebration (Dec. 27-30th) and continuing through the month of January at our Tidal Gallery and include cards that list the title of the piece, the artist and the price (if the item is for sale). 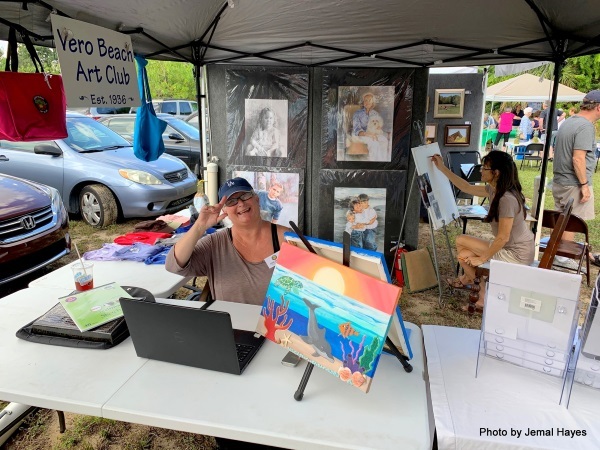 The Vero Beach Art Club booth won 1st place for Club Booths at Celebrate the Arts Festival Saturday, January 5, 2019. 3 of our artists won 1st place in their medium. 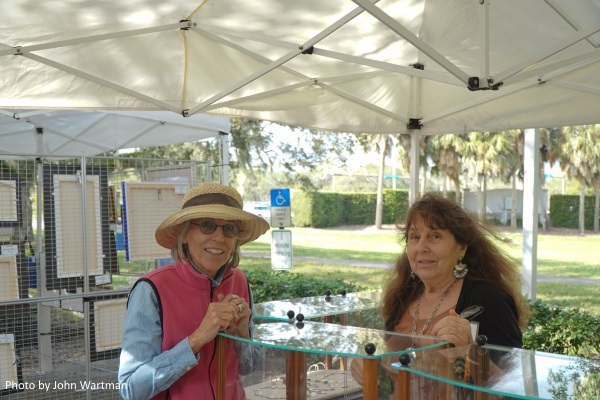 Each year on the first Saturday of January, Celebrate the Arts Festival is held in Riverside Park. 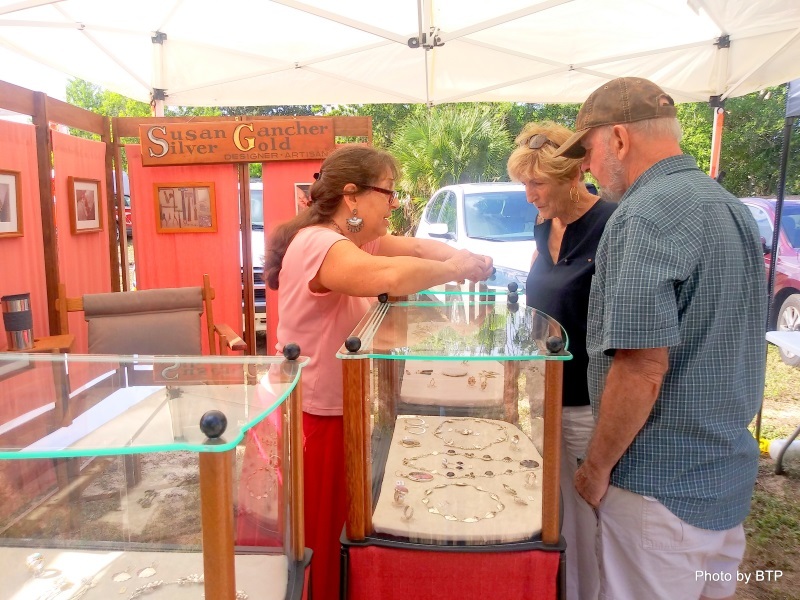 Cultural Council Members set up booths to promote their events scheduled for the upcoming season and to introduce their organization to the public. 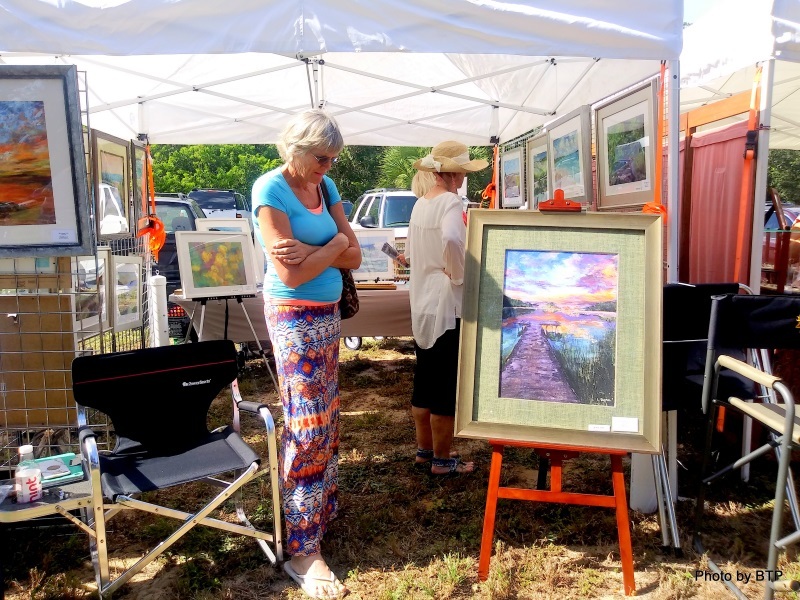 Fine artists share their creations, authors present their books, performing artists take the main stage to entertain and food vendors share their culinary creations. The Art Club has a booth each year. Cultural Council is putting this festival on and you can lean more about them and their event by clicking the Blue Button below. 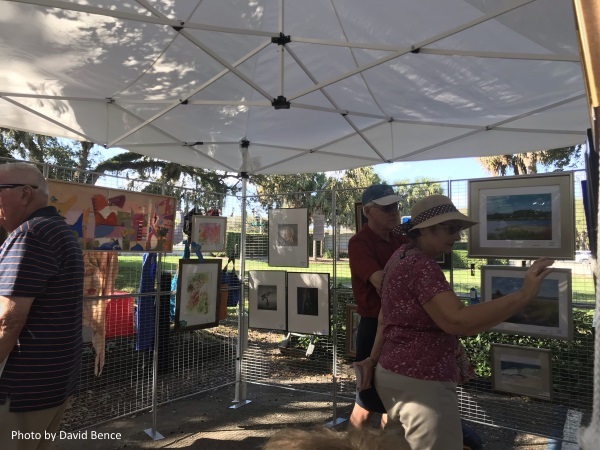 ARTISTS came for Party At The Pineapple Plantation ﻿on Saturday, 11/10/18 11am-3pm. 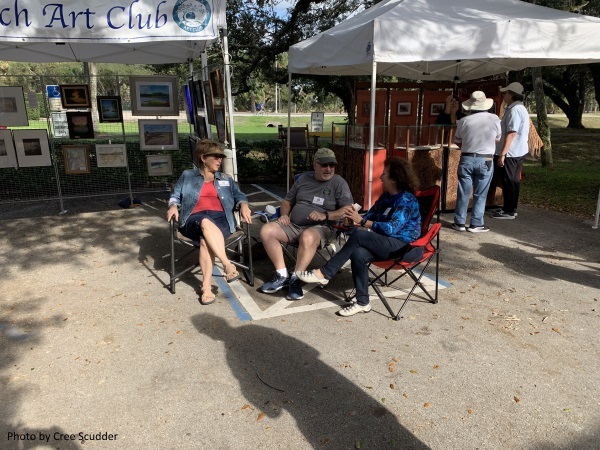 The Art Club had a booth at this event and we had several artists show and sell work in our booth and their own booths. 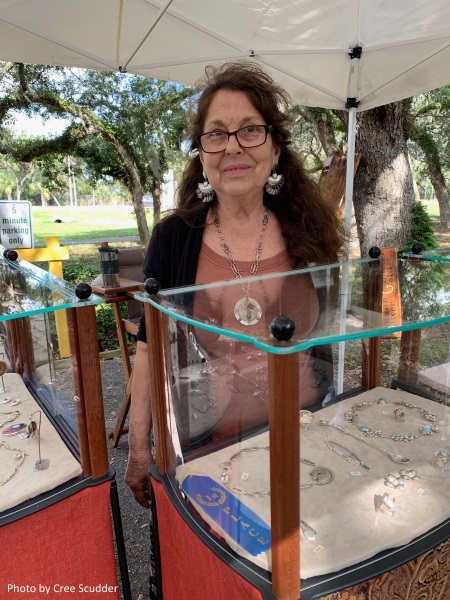 The Historical Society had their fourth annual "Party At The Pineapple Plantation" at the Hallstrom House, 1723 Old Dixie Hwy. 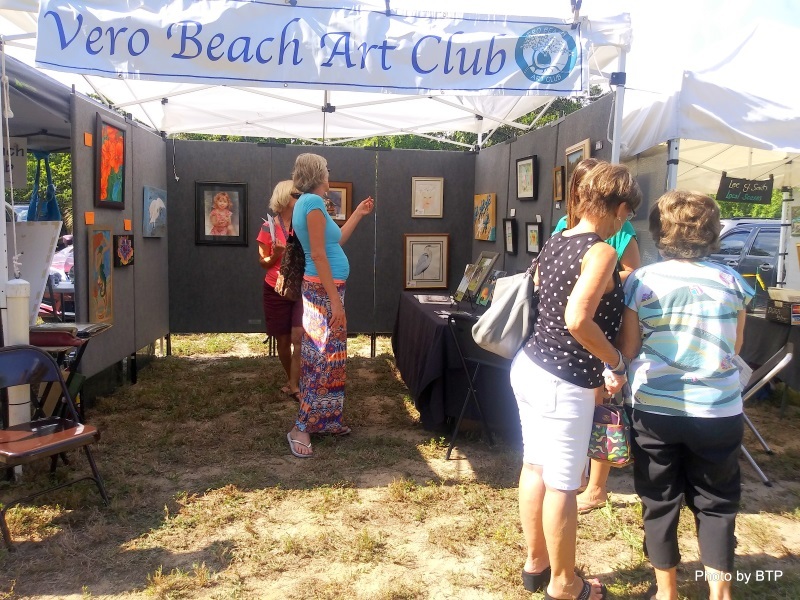 SW, Vero Beach on November 10th from 11:00 to 4:00. 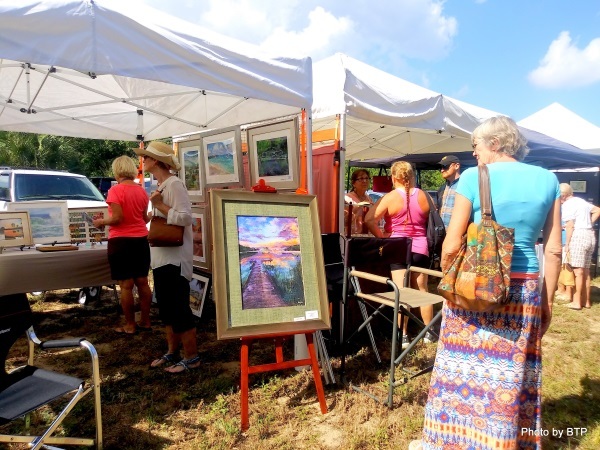 This is a fun yearly event and we hope to have even more artists involved next year. We may be scheduling something in the near future so check back! We are always open to ideas for trips to other area museums or art exhibits. If you have a suggestion or are interested in volunteering to set up a trip, please contact our Chair.